Cheesy bean quesadillas flavored up with crispy bacon and green onions. It's been a while since I'd made savory quesadillas. After posting about these Pear Brie Quesadillas, I got a hankering for some more quesadillas. Plus, with the sale on bacon (99 cents a pound!) I'd stocked up. I don't make quesadillas too often just because it takes a bit longer to make them, between the whole cheese melting and flipping and all that. It'll be faster if you use multiple pans, but I didn't want to clean multiple pans, so I went with just one. Thinking about it now though, maybe using a George Foreman grill or panini maker would make the process faster since they cook from both sides instead of just one. These savory quesadillas really got a flavor boost from the slightly smoky and always delicious bacon. The green onions perfectly complemented the bacon and helped round out the flavor profile. The beans added some substance, and the cheese held everything together for a relatively quick and definitely tasty quesadilla. How do you heat your quesadillas? 16 tortillas I used fajita sized. 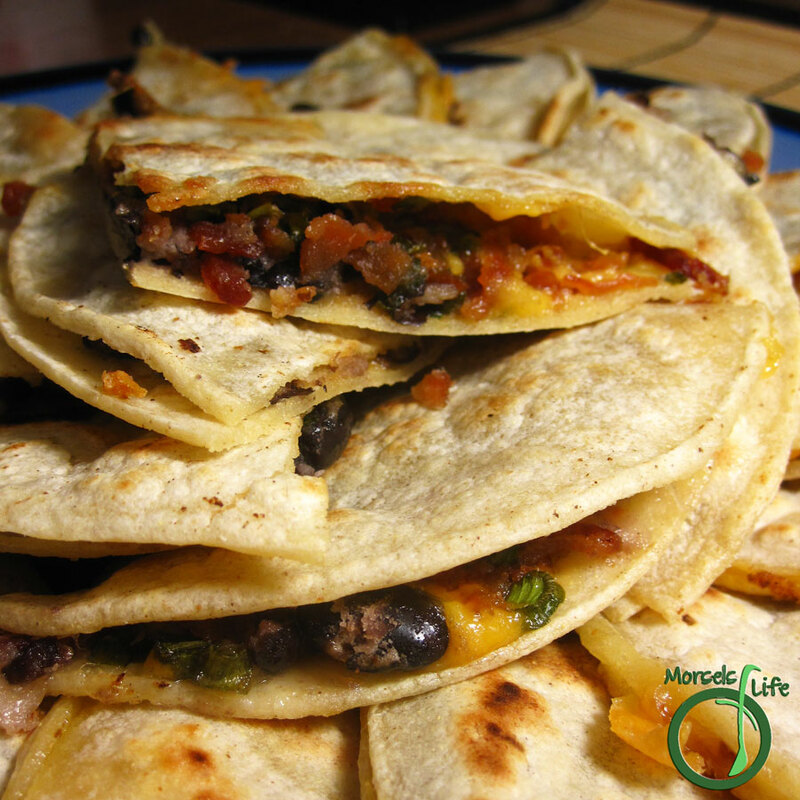 Place one tortilla in a pan and top with cheese, bacon, beans, and green onions. When cheese is slightly melted, place another tortilla on top and flip to heat other side. Remove from heat when both sides golden brown.